Paper Smooches is showing off their CHA release during the entire month of January. 37 designers are participating along with the PS DT, so there will be a ton of projects to inspire you this month. 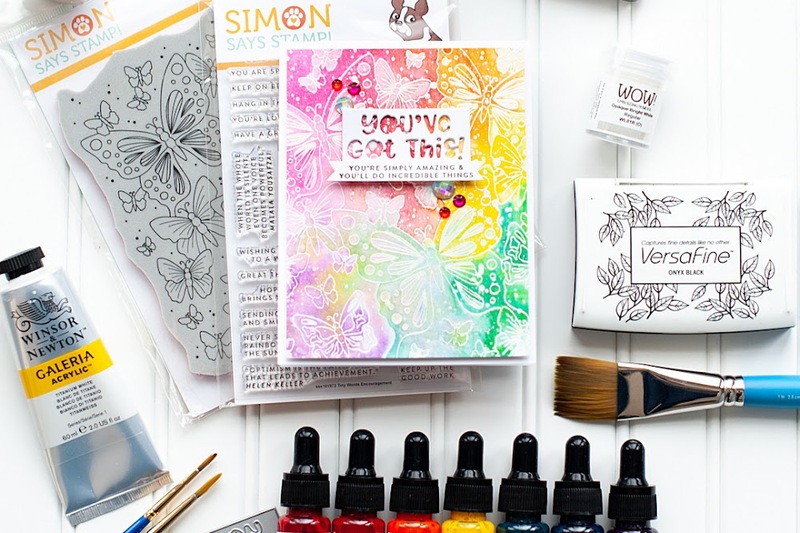 Paper Smooches is known for their fun and whimsical hand-drawn stamps. They decided that it was time to broaden their product line to include DIES and wood mount stamps! I have a project to share using the new Cupcake Die that releases on February 1, 2013 at www.papersmoochesstamps.com along with many retail stores around the globe. You will find a new blog link (or two) to follow every day in January at the PS Blog. Paper Smooches is giving away $500 worth of product! Hidden on FIVE of the participating blogs is a prize package worth $100 each. The prize includes a variety of stamp sets, wood mounts and dies. Comment on as many blogs as you can to increase your chances to be one of the five winners. The deadline is January 30th – winners will be announced on the PS Blog on January 31st. 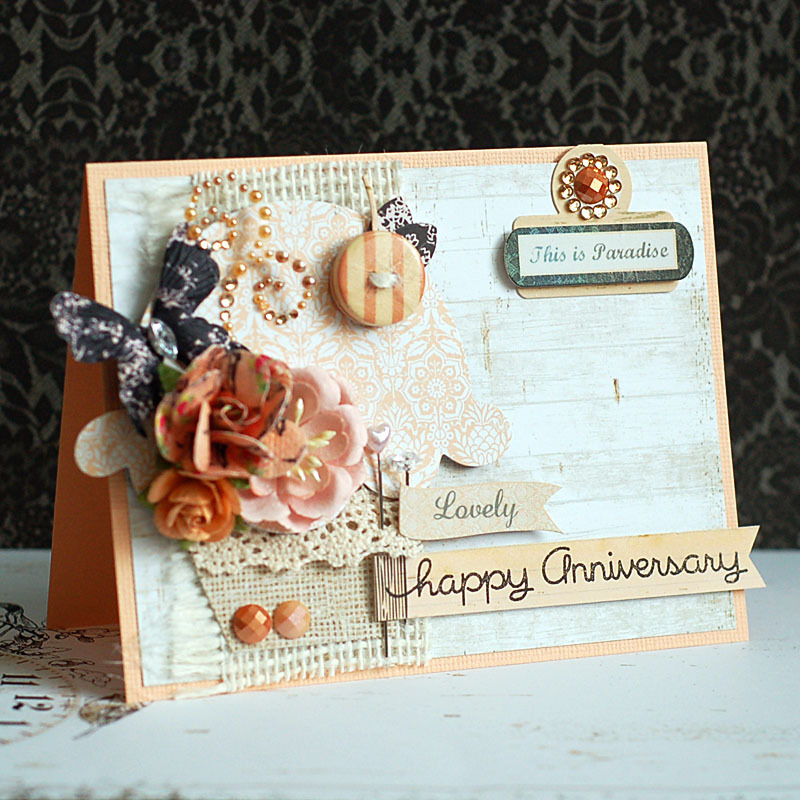 I created a sweet Anniversary card using the new Cupcake Die and Paper Smooches "Good Gab" stamp set. It also uses the brand new collection by Prima Marketing called "Lyric". I love the soft & romantic feel that this card has, even when it features something as sweet & fun as a cupcake! Here is what I created! 1. Make an A2 card from light orange cardstock. 2. Cut wood paper slightly smaller and adhere. 3. Cut a strip of burlap, and adhere to the left side. 4. Diecut the cupcake layers from patterned papers. 5. Add strips of crochet trim to the bottom layer, then adhere to the front with the cupcake top. 6. Layer together the cherry cut & leaves, add a twine threaded button & adhere the entire piece to the cupcake top. 7. Accent the left side of the cupcake with flowers, a butterfly and pearl flourish. 8. Add two pins to the right side of the cupcake, then add the two banners to the each one. 9. Adhere two stickers to the upper right corner of the card. 10. Accent the card with rhinestones to finish. I hope you enjoyed my cute little cupcake card, and remember....this brand new die will be available for purchase on February 1st! Thanks so much to Kim for asking me to be part of her fantastic CHA festivities & reveals!! I hope you have a fabulous rest of your Saturday! Cool to see PS product on one of your cards. WOW! Your card is gorgeous!! How cute is that cupcake. Great job. Sweet card! And how fun - a Paper Smooches cupcake die! Adorable card; definitely romantic. The cupcake die = 200% sweet! Thank you for showcasing another amazing PS new product! Very pretty card...the cupcake die looks great! Just gorgeous Lea! WOW! So many fun little details here! I love the pins! So pretty! That's a big cupcake! I'm so excited for PS dies! Thanks for sharing a lovely project! Beautiful card - nice colors! Love the new products! Really a pretty card- the cupcake is elegant and lots of great details! I am in love with this card - that die looks so fun!! OH my goodness! 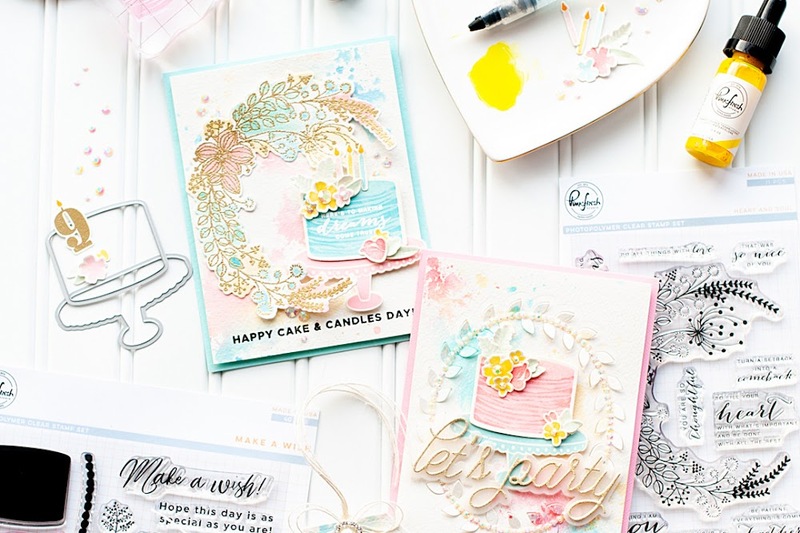 That cupcake die is so fun - and your card is completely GORGEOUS!!! Wow!!!! Love the size of the cupcake!!! An your card is absolutely beautiful! Wow!! So much detail and love put into it! How sweet us that!?! I cant wait to see more! That makes it delicious on so many levels. 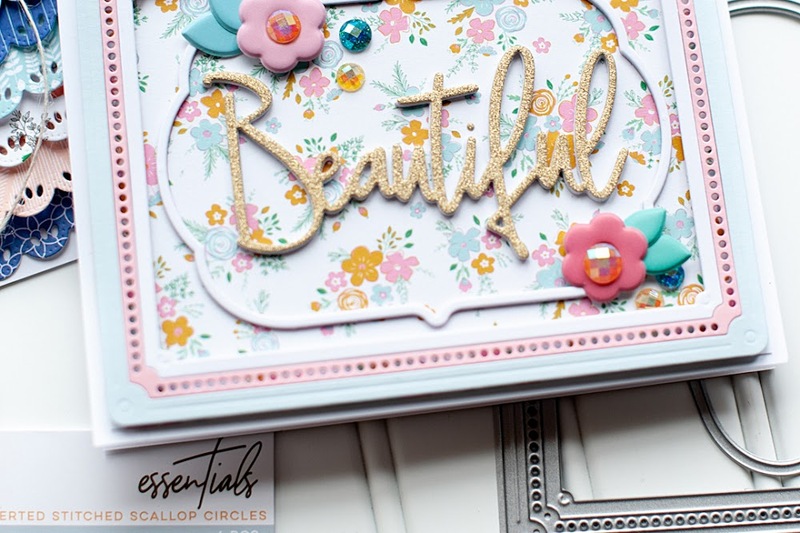 Gorgeous card and very pretty way to decorate this cupcake die. This is so pretty! Love the papers and how you dressed up the cupcake! What a lovely card! I adore the colors and all the textures! Fantastic! How darling, Lea. I just love this new die-cut. Each time I see your sweet cards, I just fall in love. I appreciate your participation in our challenges SO MUCH, and really enjoy seeing your super sweet cretions. Thanks for sharing, and may God bless you! Loving all the dimension and textures! Great card. This is spectacular! I love all your elements! This is absolutely stunning! Love how you were able to make a cupcake so elegant! I can't wait to play with this die!! Love the new die! Your card is very pretty. Wow, just a beautiful card showcasing that big and beautiful die from PS. Thanks for sharing. Absolutely stunning creation, your card is simply beautifully crafted!! How clever to decorate a cupcake! What a GORGEOUS cupcake!!! Love the soft colors and all of those yummy layers! Great cupcake die! The top could also be used as ice cream. Totally FABULOUS card! Love the flowers! Your card is so beautiful! I love how sophisticated and romantic your cupcake is! Love it!! That's the softest, most lovely cupcake I've ever seen. So pretty. Another great die from PS. I would never have realized that you had used a cupcake die on this card if I hadn't read it! Good luck on the challenges that you're entering this into. Oh so pretty! Love it! Oh your card is just beautiful, great way to use the die. Woah, that is just gorgeous, love the soft colors and all the embellishments! What a beautiful card! The cupcake is fabulous! Oh what a sweet card! Love the paper pieced cupcake! TFS! nice! cupcake dies! that is totally awesome!! i just love it!!! Gorgeous card - love the layers - which are hard for me to pull off but you do it so well! What an amazing card! It's such a different style than most of the Paper Smooches examples. I love how you used the new stuff. Oooh such a pretty cupcake ... gorgeous card! Beautiful card lea, I love the sentiment font! Whoa, I love this frilly girlie cupcake card! The doily is a perfect touch! How sweet - love these colors and your pretty embellishments !! Just lovely! Such pretty flowers!! Very cool idea to use burlap as your cupcake base! Love this card Lea and pretty details you included. This is just dreamy! WOW! That's one gorgeous piece of creative artwork! It's picture perfect! Beautiful card. Love all the layers and different elements. TFS. Well isn't this just one scrumptious card! February 1st cannot come fast enough! I am just too excited for all the new product--particularly those dies!!!! Your card design is lovely! Thanks for sharing! Anybody would be thrilled to get this card and know how much love went in to making it. Oh wow...your card is just beautiful. Love it! I absolutely love how you used the PS cupcake die, sooo creative!!! Super cute! A cupcake die? Awesome!! Thanks for sharing this romantic card! so gorgeous and shabby chic I LOVE it! Loving the new dies! Oh, how cute! I love the new PS cupcake die! That is definitely no ordinary cupcake but one all dressed up in her Sunday finery. What a beautiful card! Thank you for sharing. Gorgeous card! Love all of the embellishments! Can't wait to see all of the new dies! Thanks for playing with us at Freshly Made Sketches! Cupcake die - genius! Love the way you used it on your card with the lovely lace and burlap. Oh my gosh that cupcake is awesome! I've gotta have that die! Such a Gorgeous Card!! LOVE that Cupcake die...So Fun!! Love your card!! All the layers are super gorgeous! Your card is great. It has lots of dimension and texture. The cupcake die should be a fun one to use. Beautiful card Lea! Thanks for joining us this week at Freshly Made Sketches! Beautiful card, I love all the texture! Can't wait for the release! What a "sweet" card! :D I love the new PS cupcake die. Thanks for the inspiration. I love the "ruffly" edge of that cupcake. Your card is just beautiful, so much detail. I've enjoyed all the cute PS projects, but it is refreshing to see them used so elegantly too. Your card is full of vintage goodness. Something you don't see a lot of using Paper Smooches.. it's gorgeous!! The PS stamps are truly so versatile! I love every single one of them and can't wait to get my hands on those hot little dies!! Gorgeous card! Your cupcake is so well 'docorated', yummy! Very beautiful card! I love the colors! This is such a beautiful card! I love the soft colors and all the details. Just lovely! Very cute representation of a cupcake~ Thanks for the chance to win! God bless!! What a great way to us this die set. Awesome card! This card is scrumptious! I love all of the layers and textures! It amazes me how you wonderfully talented papercraft artists can take all these random embellishments and create such a masterpiece. Wow how pretty! Love the die, the colors you used and flowers and lace--just awesome! Lovely card you made. I really like the 3-D of the card. Such a beauty Lea! Gorgeous use of embellishments! That cupcake is to DIE for. Really love your style & that color combo you chose is fantastic!! Lovely card, thanks for sharing. That cupcake is one serious work of art! Gorgeous!! That cupcake looks tasty...to the eyes! I can't wait for the dies to be released. I have a die obsession. Love our card--and that great PS die!! lol very lovely layers but it took me a few minutes to find the cupcake! Love the cupcake die and your card does a great job show casing it. Thanks for sharing. This is so incredibly beautiful! I love your embellishment cluster on the sweet cupcake! WOW ~ now that's a fancy cupcake ~ a real beauty, Lea, and a lovely anniversary card. What a beautiful card--LOVE all the embellies! FUN color combo!! Your card is STUNNING. So beautiful! Wow beautiful card. Love the cupcake thanks for sharing! Love your gorgeous card and brilliant details. such beautiful layering and color choices! I love it all! Thanks so much! So frilly and full of vintage goodness. Beautiful card with all the soft colors and different textures. I love the size of the cupcake die. Thanks for the peek at the new die. Gorgeous card! I love the vintage feel, so different the usual clean and simple!! What a pretty card. So romantic! This card is soooo awesome!! Love the look of your colors that you used and that sort of vintage feel about it. Gorgeous! Love to see PS stamps used by you in such a non-CAS way. Such a gorgeous card.. Love the colors combo on your card..
Love your style - your cards are gorgeous! those dies make a really cute cupcake!! And your card is great!! OMG, i love love love this beautiful card. Amazing card! O love the different layers and textures! what a sweet cupcake die! love the size of it! thanks for sharing the new paper smooches product with us!